Cottonwood Families, mark your calendars for an evening for Fun on April 18th from 4:30-6:30 p.m. 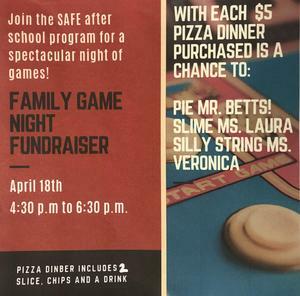 The SAFE After School Program will be hosting a Family Game Night Fundraiser. 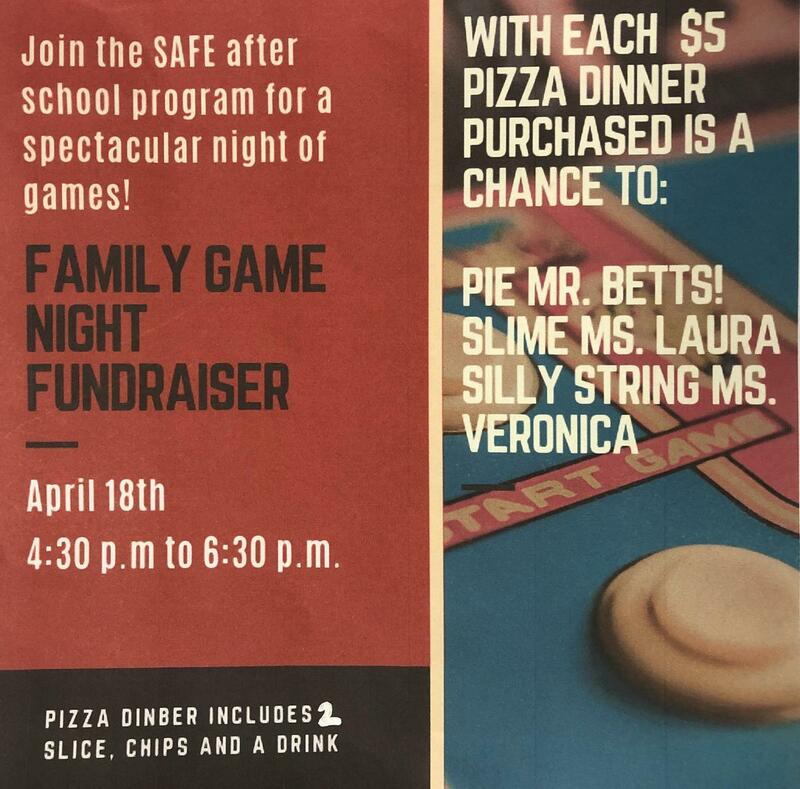 Every $5.00 Pizza Dinner purchased gets you a chance ticket to PIE Principal Betts, SLIME Ms. Laura, or SILLY STRING Ms. Veronica!